There is so much to see and do in Gainesville, Florida! With so many places to go and activities to enjoy, it can be a challenge to know about all the local hot spots. Luckily for you, Sweetwater Branch Inn is here to help! Today, we would like to tell you all about the Baughman Center. 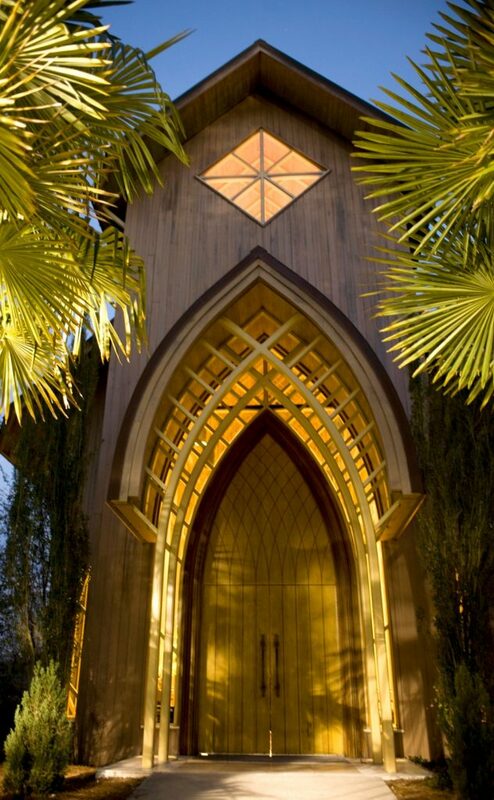 Located on the University of Florida campus, this gorgeous building is one of the most peaceful spots in the city. If you want to know more about the things to see and do in Gainesville, access our complimentary Vacation Guide! In it, you’ll find more scenic spots like the Baughman Center, outdoor activities, the best restaurants, and more. This free guide has saved countless travelers from hours of research, so get your copy today! What is the Baughman Center? 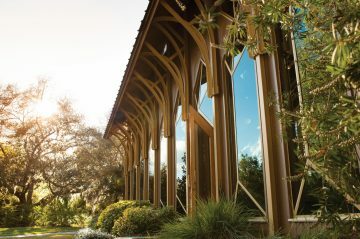 The Baughman Center is a gorgeous building in the heart of the University of Florida campus. 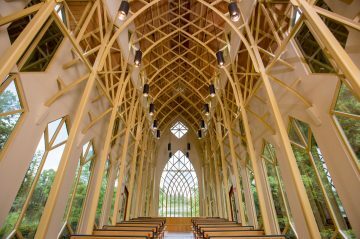 Its architecture mimics that of a church, but it is considered a contemplation space for all. Floor to ceiling windows line the walls so that even while you are inside, it feels like the outdoors are surrounding you. When Can I Visit the Baughman Center? 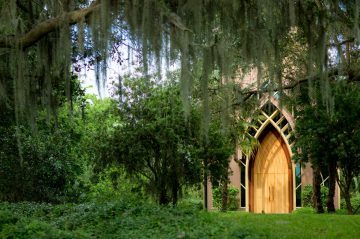 The Baughman Center is open to the public Monday through Thursday from 8 a.m. to 5:30 p.m. and Friday from 8 a.m. to 5 p.m. You are welcome to enjoy yourself within the serene walls, take photos, and appreciate some private contemplation. However, the center is currently closed on the weekends due to private events. It is also closed during recognized holidays and home football games. The Baughman Center is available to rent out for special events! Many use it for memorial services and weddings. Anyone is allowed to be married here, even if you have no affiliation with UF. It’s a favorite spot to tie the knot because the windows make it feel like you are outdoors without having to worry about the weather! Thinking of Getting Married at the Baughman Center? Hold Your Reception at Sweetwater Branch Inn! Sweetwater Branch Inn has some incredible wedding and reception venue options. Whether you choose to get married on our picturesque property or at the Baughman Center, we have the perfect place for your reception. Choose from the intimate McKenzie House with a gorgeous wrap-around porch, the Victorian-era banquet room of McKenzie Hall, or let us cater anywhere offsite. Whether you are going to be in Gainesville for an event at the Baughman Center or are just visiting, stay with us at Sweetwater Branch Inn. We pride ourselves in being a step above typical, big-name hotels. When you stay with us, you will get to experience gorgeous accommodations featuring both modern and antique decor, outstanding amenities, and stunning views of our gardens. We have cottages, suites, and rooms available, so we are sure we have something for everyone. Browse our lodging options, then book your stay! Sweetwater Branch Inn has been given permission to use these photos courtesy of the Baughman Center. What are the Best Golf Courses in Gainesville, FL?